Under California DUI law, an officer must have “reasonable suspicion” of criminal activity to stop a vehicle. This standard must be based on facts to which the officer can come into court and testify. The officer must have more than a mere hunch of criminal activity before stopping a vehicle. A court will look at the quantity and quality of information available to the officer at the time of the stop when determining whether the stop met the reasonable suspicion standard. This standard is quite low, as the observation of a mere traffic offense may be found to justify the stop of a vehicle. California DUI law states that even if an officer has a reasonable suspicion sufficient to justify a vehicle stop, there still must be probable cause to arrest the suspected DWI offender. Is it permissible for a police officer to stop a motor vehicle based solely on the word of an anonymous tipster who calls 911? Under California DUI law, a police officer may only stop a motor vehicle if the officer has “reasonable suspicion of illegality based on articulable facts.” In other words, the arresting officer must be able to come to court and explain why he pulled you over. An informant who identifies themselves with name and contact information is presumed reliable under California DUI law. As such, a vehicle stop based on specific facts of criminal activity relayed by an identified informant and absent any subsequent police corroboration may very well be justifiable. DUI stops grounded solely on the word of an anonymous tipster normally require police to make independent observations of criminal activity to validate the stop. It is essential to have a California drunk driving lawyer examine the facts of your case to determine if you were lawfully stopped in your DUI case. You Only Have 10 Days to Take Action! SAVE YOUR LICENSE AND PROTECT YOUR RIGHTS BY CALLING US NOW! Bobby Shamuilian was Hands Down the BEST attorney I have ever dealt with. He is an experienced and knowledgeable attorney, who is HONEST and not in it to try and rip you off for the money. His staff is professional and extremely pleasant. I have saved his number in my contacts and will call him if I am EVER in need of an attorney, I would also recommend him to anybody I know, he is an AMAZING attorney. An excellent and professional consultation followed by a successful win of my case. Thank you Kirk. You guys are top notch. Kept me informed on everything that was going on with my case and I didn’t have to show up in court once. Got my case dismissed, now I can move on. I would recommend this law firm to anyone that wants a fair shake. I had a difficult case that I was trying to fight from outside the state it was turned down twice. Once by the DA, and the second time by the judge, they continued to fight for me, and got the results I was looking for. They really do care about their clients and will not stop fighting till they get you the results you want. I couldn’t be happier with the service we received. From the very beginning I could tell that these lawyers knew a lot about DUI cases and throughout our court days they went above and beyond to make sure we were prepared for whatever might come our way. They definitely prepare you for the worst but get you the best. They covered every single base and we got an amazing outcome. I would recommend them any day. I want to thank Bobby, Kirk, and the entire staff. They recalled my warrant and got my case dismissed in no time. They answered my concerns and took me step by step in the process. I didn’t even have to appear in court. They represented me and took care of my case all the way. Thank you!!! I would like to thank Mr. Shamuilian and Mr. Tarman for helping me to get a good result for my case. They are very reliable people that kept things very professional. I recommend them strongly, they will help you tremendously. I was very lucky that I had the opportunity to work with such highly skilled people. You won’t regret hiring them, thanks again. Good attorneys are hard to find! Bobby Shamuilian actually represented me with my best interest at heart. He gave it his all and because of that my case is being dismissed today. This firm is most definitely the best one to have if you need a criminal attorney. God forbid I ever need a criminal defense attorney, I would not even consider anyone else to represent me. Absolutely an amazing attorney!!!!! THANK YOU!!!! I had the pleasure of working with Kirk, and his office regarding my DUI case. I was originally charged with 2 felony counts (vehicle codes 23153A & 23153B). Kirk’s office was very professional and was able to negotiate with the District Attorney get my conviction reduced to a 1 count misdemeanor. Throughout the whole ordeal of two court dates, he and staff was available for any of my questions and concerns. Everyone in the office was helpful and professional. There was never a time when I thought they weren’t going to be there when we needed them. 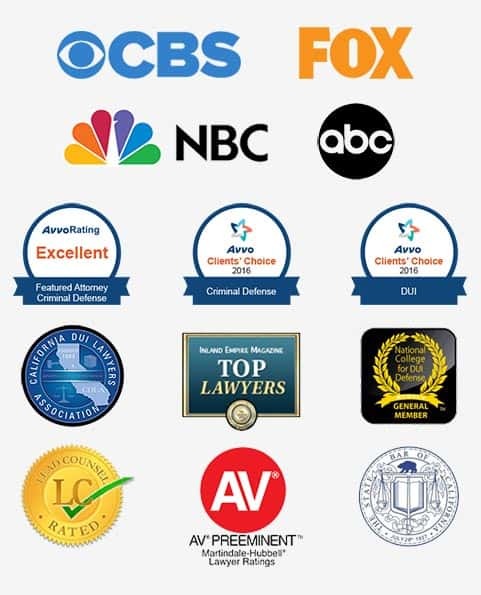 Their reputation and professionalism was the primary factor for using this law firm. Boy, were we impressed with all of the work they put into our case. Thank you to everyone in the office for always making us feel like we were your only clients! I found myself facing a DUI and scared to death. From the very start of the initial consultation, Attorneys Kirk Tarman and Bobby Shamuilian put me at ease. They handled my DMV Hearing and the court proceeding and truly fought for me. They were always attentive to my phone calls and emails, keeping me informed. They were able to get me a reduced charged so that I do not have a DUI on my record. I am so thankful to have retained them for my case. Got my case dropped from a felony to 2 misdemeanors to having everything dismissed. Justice has been served, nothing more I could ask for! Many thanks Patty, Kirk and Bobby! I was faced with a very serious Felony. A charge that carried jail time, fines, probation and more. I was told by several people that I had an uphill battle. One that I should be very concerned with, and worried about. I was referred to the Law offices of Tarman & Shamuilian. I was represented by Atty. Kirk Tarman who got the case dismissed. Atty. Kirk Tarman is the man. He is truly a Superman of attorneys and, a Superstar. Two thumbs way up. I am a person who believes in giving credit where credit is due and I absolutely need to say that Bobby is amazing. The thing that stood out about him initially was that he was actually empathetic and showed compassion about what we were going through… I would absolutely 150% recommend Bobby to any of my friends and family – he is such a genuine guy and knows how to do his job, and do it well. Being arrested does not make you guilty of the crime. We may be able to get your charges reduced or even completely dismissed. Talk to us - you will feel and hear how much we can help. Copyright © 2019 MRLG, All Rights Reserved.